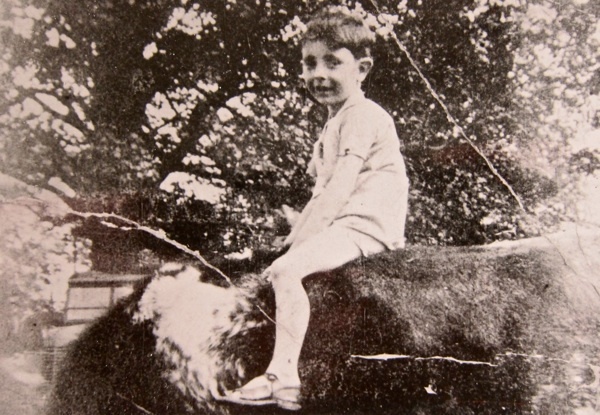 When he was evacuated from Bethnal Green at four years old, Terry Bay rode a cow through an orchard in Cambridgeshire but these days he rides a taxi around the London streets. 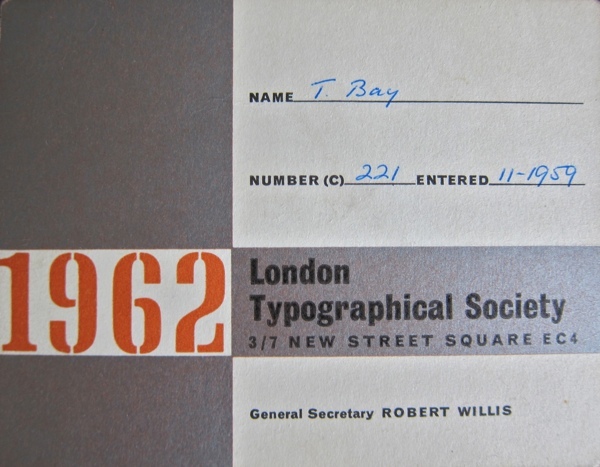 In between these peregrinations - each delighting him with their ever-changing perspectives – Terry became a boxer and a compositor, exercising the breadth of his talents by adopting new professions to suit the varying demands of his life. 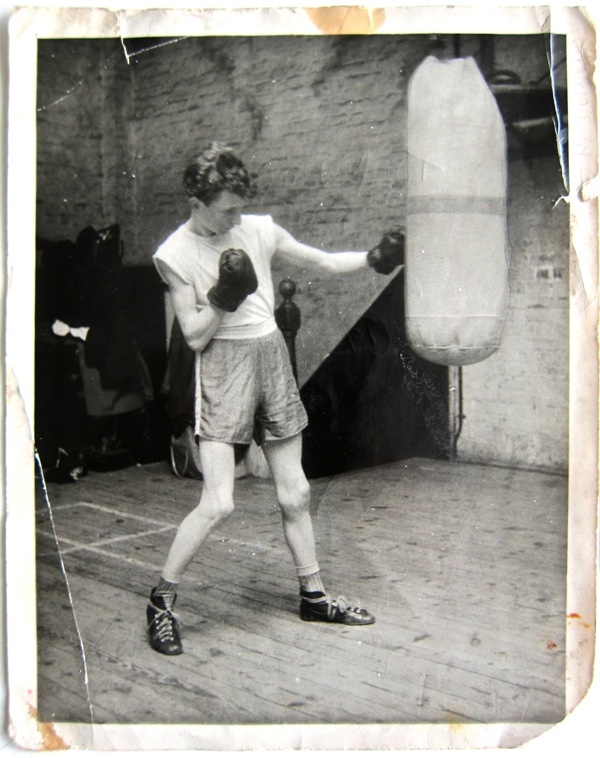 Yet a pair of boxing gloves hangs from the rear-view mirror of Terry’s cab as an indicator of his true passion and, if any passenger should ask – as they often do – Terry brings out an envelope of boxing pictures that he always carries, eager to share his reminiscences with any fellow enthusiast. I visited Terry in Barkingside where lives today, but I discovered his was a story of Bethnal Green and, in the hallway of his comfortable flat, he has an extraordinary gallery of sepia portraits of members of his and his wife’s families who all lived in Bethnal Green through many generations. You would not automatically characterise Terry as a fighter, such is his gentle and self-effacing nature. Though when he told me his story and revealed that his father died when Terry was twelve, just before he started boxing, I understood how it became necessary to find the courage to stand up for himself. In fact, Terry discovered he was blessed with a natural talent as a boxer, yet although he won most of his fights he never became a champion. Instead, Terry shared an enduring camaraderie with his fellow boxers, benefiting from a wealth of friendships that has sustained him through the years and which he still enjoys today. “If anybody asks, I say I come from Bethnal Green. 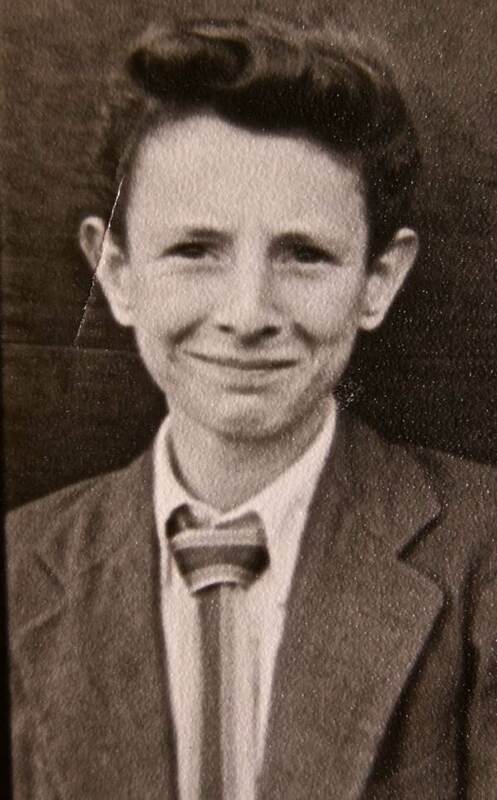 I was born in Cranberry St off Vallance Rd in 1937 – but a bomb fell there in 1940 and we moved out, first to Corfield St and then to Middleton St where I lived until was twenty-six. But, in 1941, at four years old I was evacuated to Chatteris with my brother Albert and my sister Rita. My mother Connie - she was born in Russia Lane – she wouldn’t let us be separated. My father Bill – he was a fireman during the war – he came from Menotti St, and he died when I was twelve. He had TB and didn’t go for treatment. He worked in the Docks before the war and that’s how my brother got into the Docks. Later, me and my brother and my sister, were put under observation for TB because we were so skinny. We had to go the children’s clinic in Underwood Rd and they gave us spoonfuls of cod-liver oil which I hated. The man we were sent to in Chatteris was a farmer, and he had an orchard out the back where he kept the chickens and pigs. He cleared out the chicken house and we stayed there, and my mum came to visit too. She used to wring the chicken’s necks and pluck them, and shoot the pigs with a pig gun. She did everything, she worked in bottle factory and she was a cleaner, and she lived for her children. Later, my cousins came down to join us and we all stayed in a cottage, and then my mum and dad came to visit us – and when the war was over, they came down and took us back to Bethnal Green. I went to infant school in Teesdale St and then at eleven years old I went to the Mansford St where they had an after-school boxing club. There were all these boys standing in a circle and there was one kid who looked like a boxer. He was deciding who to box and – as I was thin and I didn’t look as if I could box – he picked me. It went a couple of rounds and he was supposed to be boxing me, but I was boxing his head off and he realised I had a natural talent – and he got the hump. So then I went off to the Mansford Boxing Club with Terry Staines and Georgie Whaiter and I had a couple of bouts there. The Repton Boxing Club was going strong and they poached Terry and Georgie, so I tagged along and became a Repton boy. They took me to the London Federation of Boys’ Clubs Competition and I won my first fight but got beaten in the semi-final. That was the story of my life, there was always somebody better than me! I boxed seventeen times as a junior and lost five. Then I gradually fell away from it, I was a teenager and I got distracted. I left school and did a six year apprenticeship and became a compositor and got married and wanted to better myself and I went to work in Fleet St. At first, I worked for the Evening News where I got a holiday frame, covering for people on leave, but then I applied for a permanent job the next year and they kept me on. And I thought I was a millionaire, I was getting fifteen pounds before but at the Evening News I got thirty-seven pounds a week! This was in 1969 and I was thirty-two. You worked with hot metal and you had deadlines to meet. 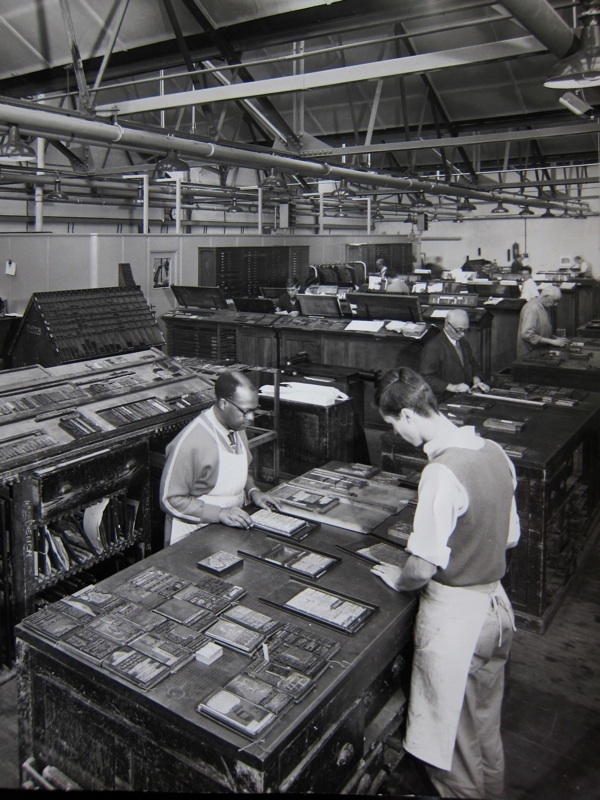 Firey Fred was the head printer and he used to be always on your back when you were working on a page, ‘Hurry up! Quick as you can, mates.’ There was a metal frame for the page and stories came in hot metal, and you had a graph of how it was supposed to be. The journalists came and told you where they’d like their stories and, if it was too long, they’d cut it down. Finally, you had to plane the plate down and that’s when I got my finger permanently bent. There was two of us working on a single page. One worked at the top and the one that worked at the bottom was the assistant. He was planing the finished page down to make it smooth and we were in a hurry because Firey Fred was making us sweat. It used to be a bit crazy. Then it’d all go quiet – and you’d go off and have breakfast or a beer until the next edition. My wife and I moved into a flat in Cressy Mansions in Stepney when we got married but six months after our son Fraser was born in 1970 we moved out to a house in Chigwell. 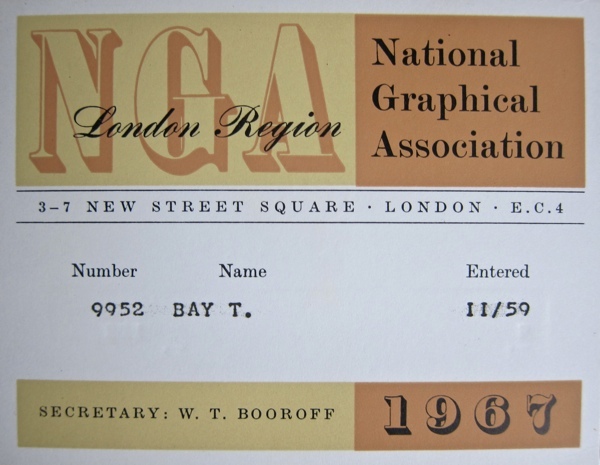 Eventually, after twelve years at the News Chronicle, I was made redundant when it closed in 1981. Then I did ten years at the Daily Mirror until computers came in and I was made redundant again, after Robert Maxwell took it over. 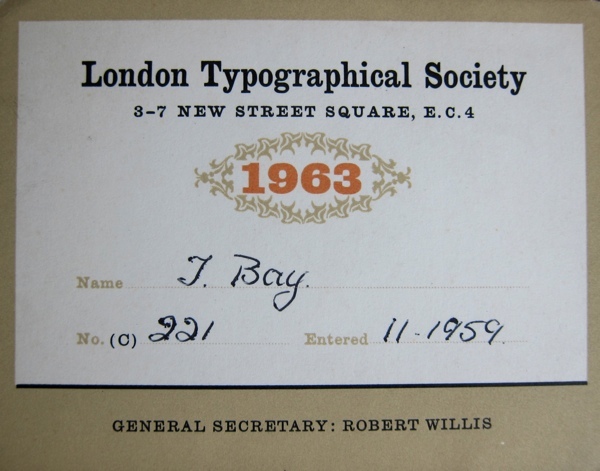 I worked at Tower Typography in Holywell Lane, Shoreditch, doing general typesetting for a while, but I didn’t like it after the excitement of the newspapers. When I finally left printing, I bought a pub, The Dolphin on Redchurch St, but that didn’t suit either, the life of a publican. That’s when I became a cab driver, and that’s what I’ve done ever since, for the past twenty-four years. I was never a famous boxer. My father loved boxing, he would have liked what I did but he died before I started. And although my mother never liked me doing it, I made a lot of friends and I had a fun-filled time with my pals. I was brought up in a rough area and people got into trouble. I was in a car once with some friends, and the police stopped us and found wax impressions and tools for making keys in the boot. They took us back to the station and I was remanded in Brixton for two weeks, even though I was never a villain or a thief. The only thing I’ve done that I’m really proud of is my boxing life. Once I overheard the headmaster at my school talking to a class and he said, ‘I watched Terry Bay sparring in the playground and he’s very good.’ I didn’t know I was good. And for him to have said that meant everything to me. 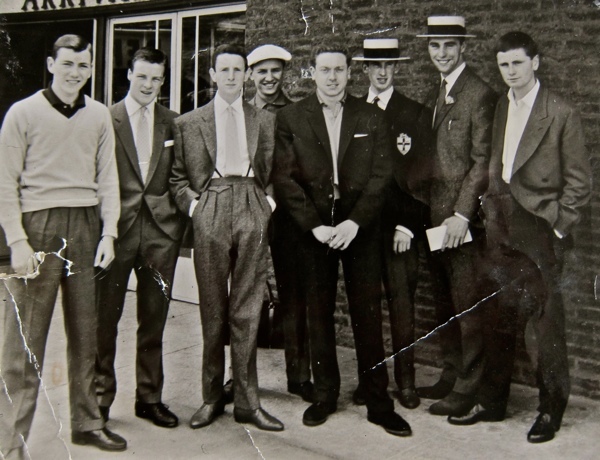 Terry at the Repton Boxing Club. 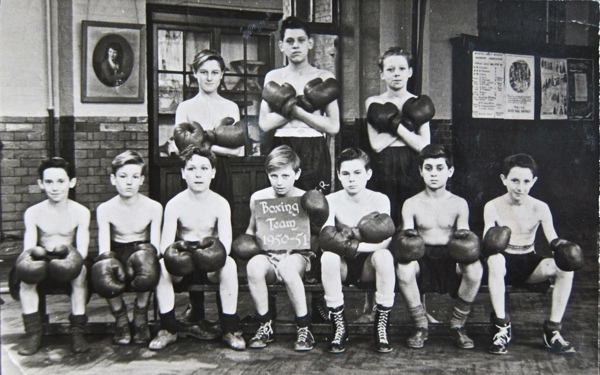 Terry is on the far right of this picture of the Mansford St School Boxing team 1951. 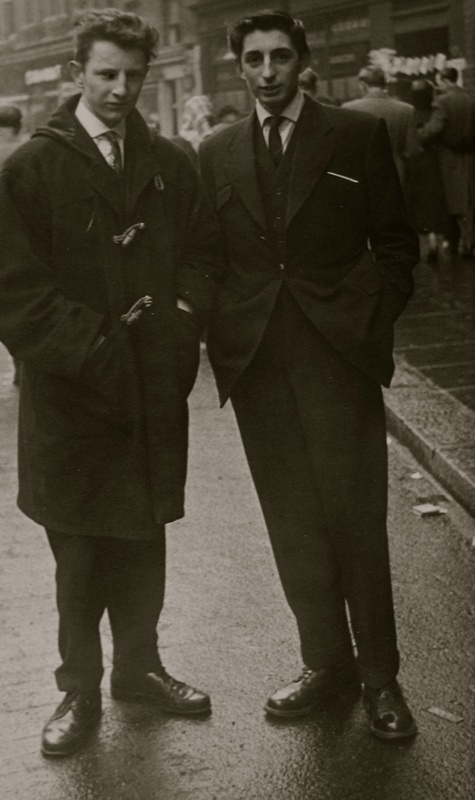 Terry and his friend Bobby in Petticoat Lane, 1954. 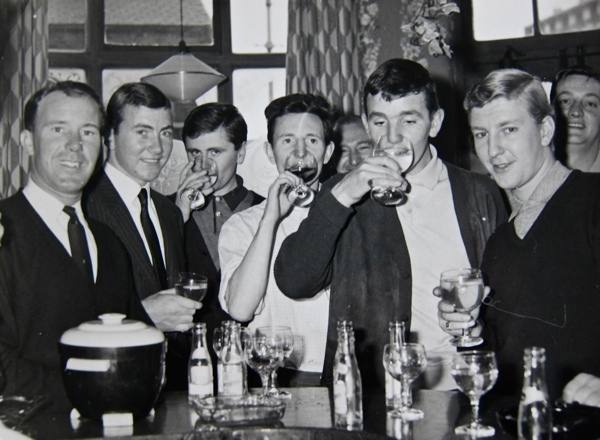 Terry enjoys a drink with his mates at the Westminster Arms on the corner of Old Bethnal Green Rd. Terry with pals outside departures at London Airport on the way to a holiday in Jersey. 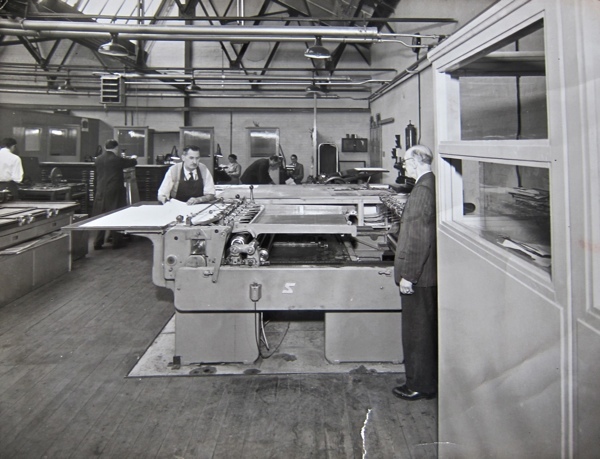 At Strakers & Sons, Hackney Wick, where Terry was apprenticed as a compositor in 1956. Terry can be seen in the distance on the right in a white shirt. Mr Souter, the press man, and Nobby, the overseer. Terry is on the extreme left. 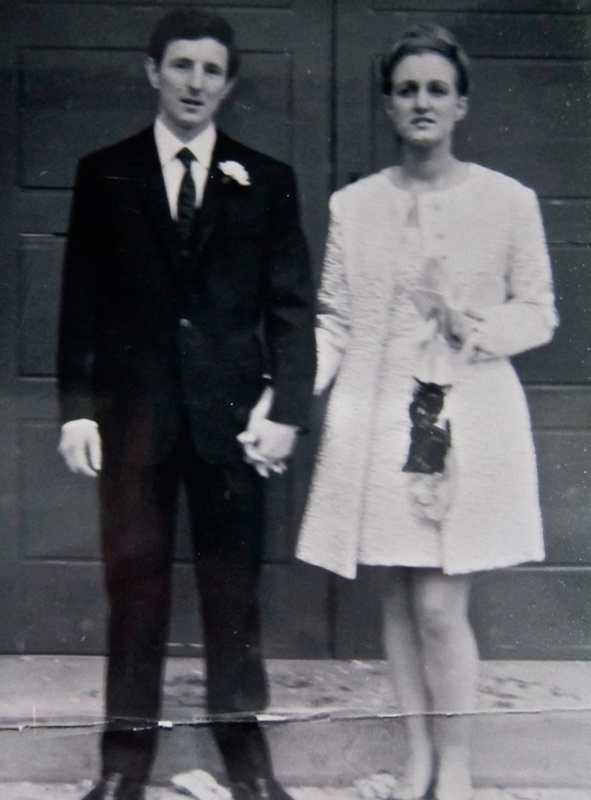 Terry & Eileen at their marriage in 1969. 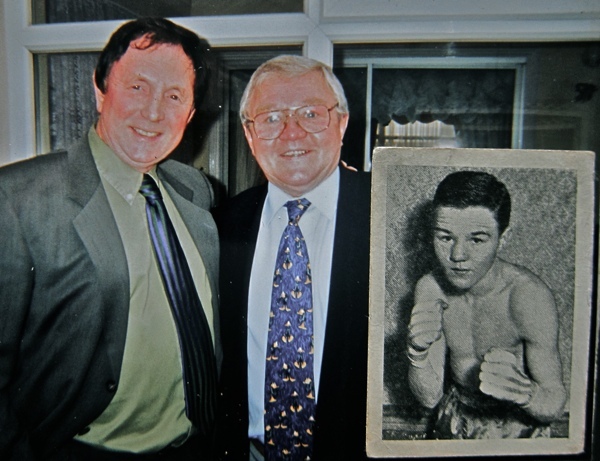 Terry with his good friend Terry Spinks, the famous boxer who won a gold medal in the 1956 Olympics and died this year, also shown as a younger man in the inset. 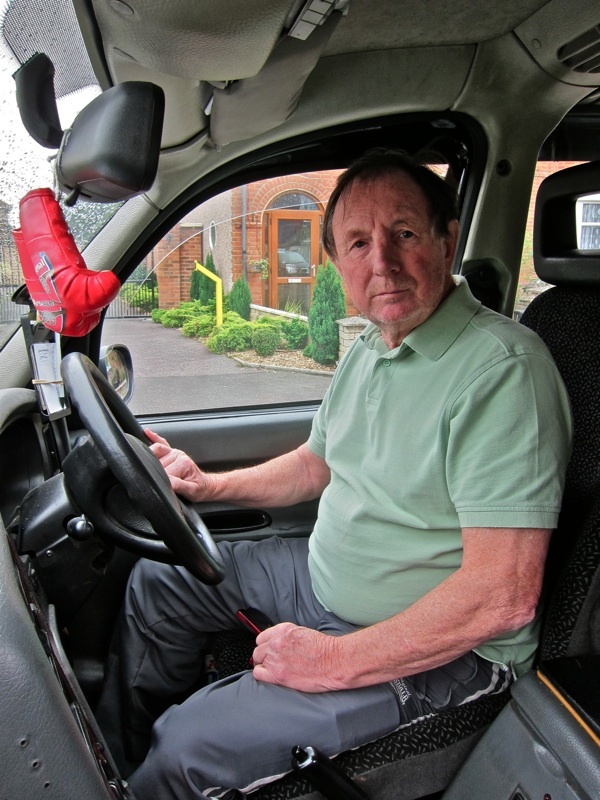 Terry Bay has a pair of boxing gloves hanging in his cab and always carries his boxing photos in an envelope in case he meets a fellow boxing enthusiast. Great memories and photos. I really enjoyed today’s edition. Thank you. Proper East End boy. God bless. Vallance Road ’round the corner but didn’t mention the Krays once, I’m surprised and impressed he keeps it real. Nice post, thanks. I haven’t been a subscriber for very long but I already look forward, eagerly, to reading your posts as one of the first of the day. Thank you. Good story and great photos. Thanks. As Jennifer Taylor writes, I too look forward to reading your posts every day. I have a very keen interest in the East End of London, the fascinating characters, the historical buildings and alley ways. Finally Terry is such a great East Ender and I would enjoy a ride in his cab and listen to his stories. Would like to know more about his wife, Eileen. Very cheering, thanks for this. And so nice to see that Terry is a Gooner. Contrary to popular belief, not all EastEnders are West Ham supporters. Another great story and very happy to see those Arsenal gloves in the last photo.